…but because I often forget about those things—the ephemeral nature of tweets being what it is—I figured I should post it here, too. I have no idea when the feature appeared, but I only discovered it on February 27th, when I tweeted about it. You’ll find the window at right in Terminal’s preferences, on the Profiles tab—look in the Text section for a selected window, then click the color tile under Background. 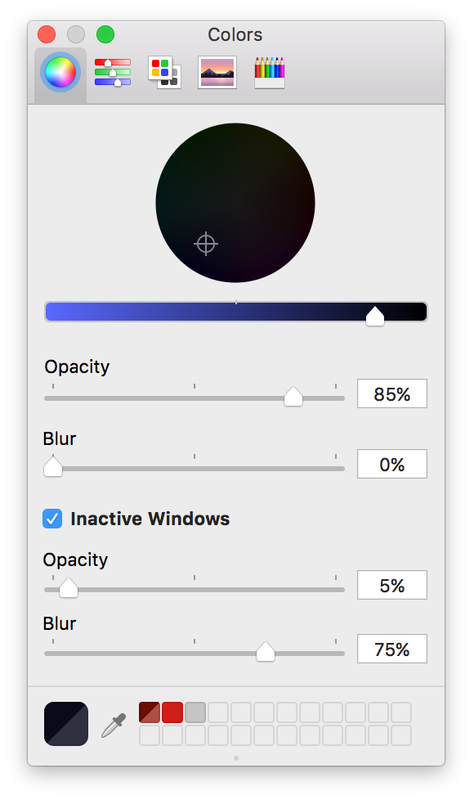 Check the box to set opacity and blur for inactive windows, and you’re done. As I use a dark background in Terminal, I like this feature a lot. I’ve now got it set up to go transparent and fuzzy when inactive—this makes it basically vanish, so the dark background no longer grabs my eye. At some point, I’ll dig through my virtual machines and figure out when this was added…who knows, maybe it’s been there for forever. In any event, I’m glad I stumbled across it the other day.